Bibliophiles, take note. The Cooler Callery Super Market at A/D/O popup is part holiday market and part book fair. Giving a book is always such a classic gift – why not transport your bestie or love to a new place with a fantastic story or photo collection? Plus, shoppers can find goods make my local artists, galleries, publishers, and designers. Are you interested in the well, odd, strange, and unusual? The Oddities Flea Market curates a variety of curiosities and specimens from taxidermy and jewelry to historical ephemera and subversive art. Tickets are just $5 bucks. Need cool gifts that are budget-friendly? Passerbuys is setting up shop for a two day popup with gifts $100 or less. Plus, a portion of sales will be donated to Americares, an organization providing medical care and healthcare programs to people affected by poverty or disasters. And, if that wasn’t reason enough to pop in and shop, there will be free Ovenly treats and a free hair styling bar. 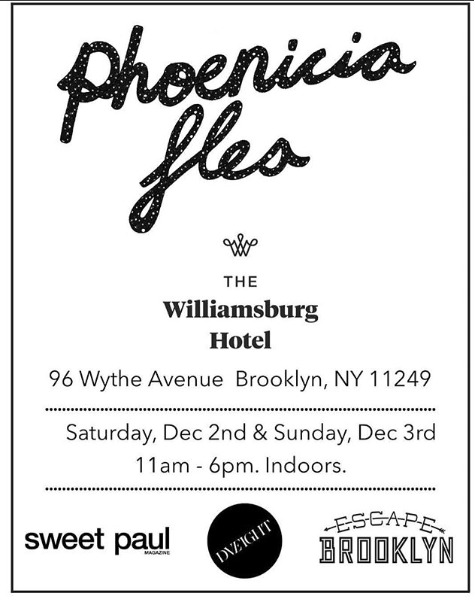 The traveling Phoenicia Flea from the Hudson Valley skips into town this weekend at the Williamsburg Hotel. Stop by for food and drink, apparel, home goods, delightful apothecaries, and vintage clothing and accessories. 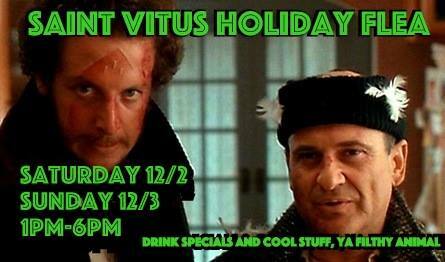 For the darklings in your life (or just you), explore way cool vintage gear, handmade jewelry, otherworldly goods, and of course drinks from your favorite metal bar. 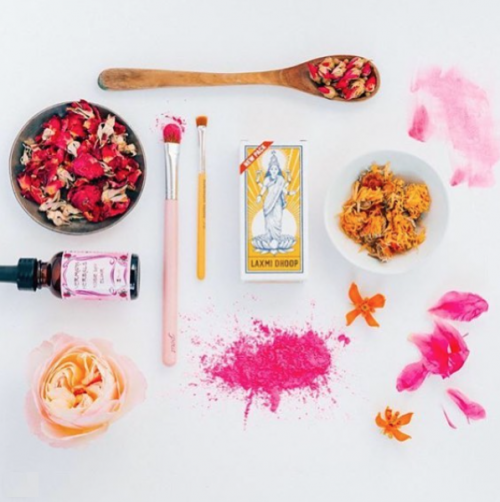 Need a wellness-themed gift for a very special someone? 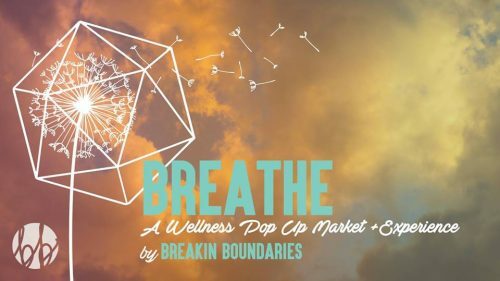 For your health conscious nearest and dearest, stop by Breakin Boundaries this Sunday. With products, holistic treatments, treats, and raffles. 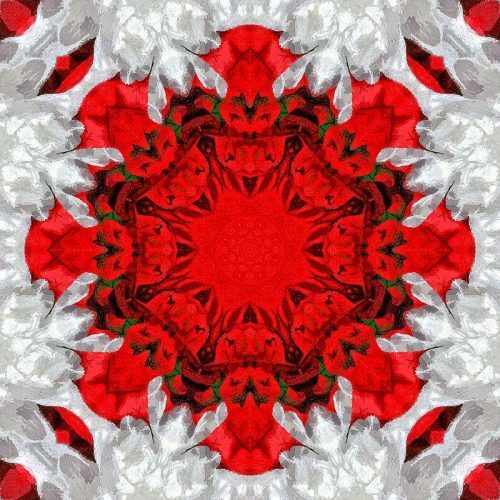 Maha Rose’s holiday bazaar is back! Step into the Maha Rose wonderland and discover mystical vendors, interactive booths, and mini-healing sessions. Don’t forget to treat yourself. 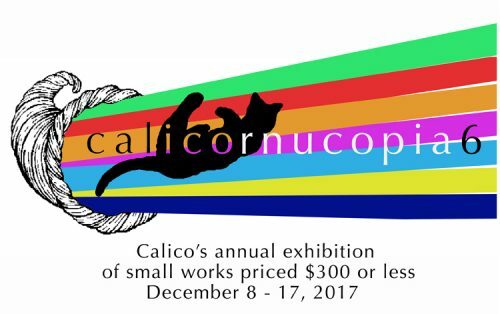 Calico Gallery’s holiday party is sure to be a smash hit. Art lovers will discover affordable works all priced at $300 or less. Browse the Facebook event invite for a full list of participating artists. Our holiday market rolls into town Sunday, December 10th. As always, our market serves the community with gorgeous gifts, skillfully handmade items, vintage gear, delicious treats, boppin’ music, a themed photo booth, and more free fun activities. 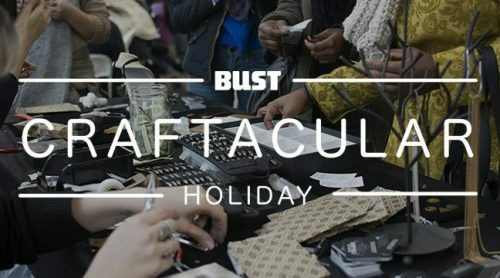 Celebrate DIY culture at the Bust Craftacular with tons of vendors and artisans and their unique wares. There’s also live music, classes, talks, and savory and treats. Why not mix shopping with brunch and a day drink? 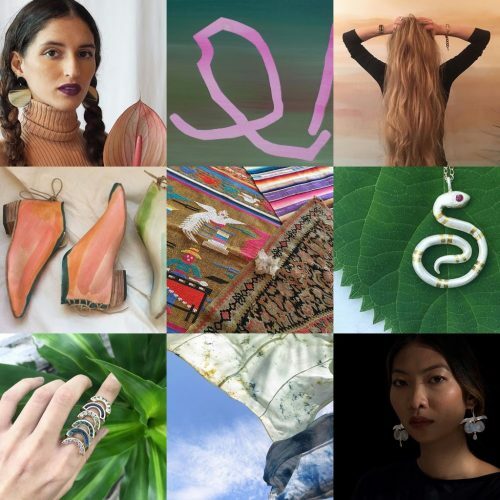 Stop by Threes on 12/10 while you’re enroute to our Candyland soiree and peruse gifts of all persuasions: food, tees and totes, art, woodwork, hand crafts, eye wear, jewelry, accessories, and more. ← Are You a Tech-loving Social Butterfly? Let’s chat.